Update, October 17: The UK government has provided a response to two questions on the subject of in-game gambling posed by a Labour MP last week. As much as we love Overwatch around these parts, we are afraid it had a big hand in the loot box trends. The statement closes by saying: “The government recognise the risks that come from increasing convergence between gambling and computer games. The Gambling Commission is keeping this matter under review and will continue to monitor developments in the market.” It makes no reference to the petition, mentioned in the original story below, asking the government to adapt gambling regulations to include loot boxes. Original story, October 16:Welcome back to PCGamesN’s round-the-clock coverage of ‘People Really Hate Loot Boxes 2017’. 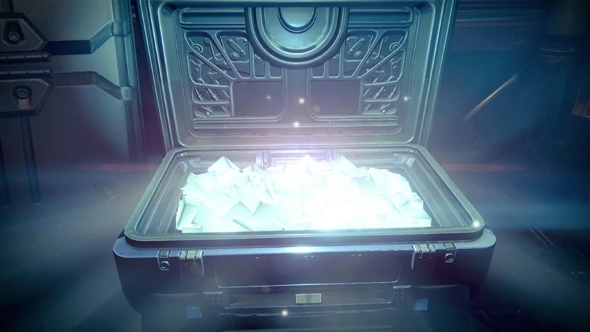 Paid drops for random items have existed since the early days of downloadable content, but loot boxes have spent the year digging deeper into new genres and putting new types of content on the table. Players have been eyeing every new release from Middle-earth: Shadow of War to Battlefront 2 with suspicion, and it’s been what you might politely call a controversy. Common gaming wisdom so far has been ‘it’s okay as long as they’re just cosmetic’, but people have been increasingly concerned about the idea that loot boxes are essentially gambling over digital goods. Gambling, of course, is typically tightly regulated by government in most countries. Both the ESRB and PEGI say they’re not going to consider loot boxes gambling until the law does. So, as is natural in a representative government, UK residents have been petitioning their officials to do something. The petition – while grammatically questionable – asks laws covering gambling to be adapted to include videogame-related gambling, citing China’s law requiring the public disclosure of loot box odds. Additionally, Labour MP for Cambridge, Daniel Zeichner, has submitted a pair of questions on behalf of Reddit user Artfunkel. Again, the goal is to see gambling regulations extended to loot boxes, a precedent already set by British territory the Isle of Man, which does define in-game items by their gambling value. Neither measure is likely to result in direct change, but both open the door for further conversation in government as to the nature of loot boxes and whether they should be regulated. While recent games like Shadow of War have proven to mostly avoid making their microtransactions a part of the core game balance, concerns have increased over whether the existence of paid random drops is itself a bad thing, potentially preying on both children and the psychologically vulnerable.